Weekly Pilates and Bootcamps check attached flyer below for dates and times. 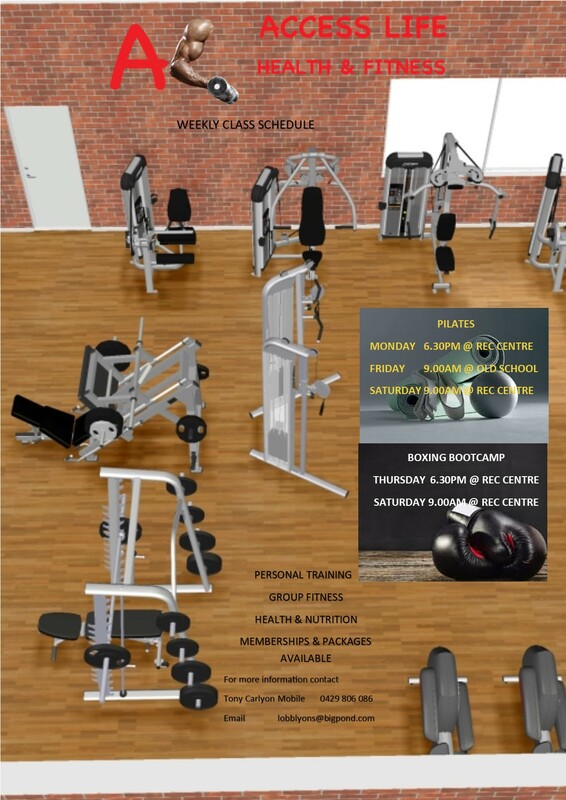 Access Life provides health and fitness options to Boddington and surrounding areas. Group fitness such as Pilates and Bootcamps are scheduled weekly. One on one personal training and small group sessions are available to tailor programs for all ages and fitness levels. Membership or packages are available or pay a casual fee as you go.